Clean and well maintained ground floor townhouse located in the Terraces at Launani Valley. 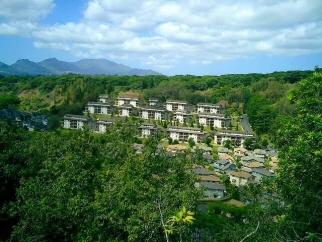 This beautiful valley is considered to have some of the nicest amenities in all of Mililani. The interior has been freshly painted and includes: ceramic tile in bathrooms and kitchen, 9' ceilings and the living room opens to a private courtyard with a tiled lanai for enjoying the quiet tropical evenings. Savings based on companies that charge a 6% list fee and the use of the Mattland Buyer Credit Program on the replacement property.